G Spotting: Good Earth Organic Coffee: Delicious! Good Earth Organic Coffee: Delicious! What's ground, savory, and bold all over? 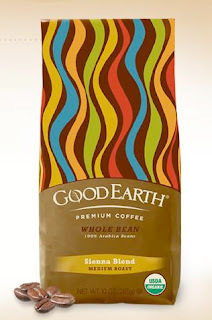 If you guessed Good Earth Premium Coffee, you got it right. Tuesday, September 23rd at Josies restaurant in NYC Good Earth's "Brew For Better" pledge was unveiled three organic coffee blends were released to be available in mainstream groceries across the country. Cheryl Burn, Director of Quality and Product Development, aka the "Blendmaster" who has been blending and mixing for 10 years noted that a specialty grade coffee means that each coffee bean (which is actually just the pit of a cherry) is hand picked and selected to ensure the quality of flavor. And like a wine tasting, she encouraged drinkers to sip and spit the coffee out to taste the flavor. Needless to say, we GSpotters did not spit out the caffeinated nectar of the Gods. Traditional coffee grown in sunlight requires farmers to burn or slash tropical forests, which contributes 20% of the world’s greenhouse gas emissions, whereas organic coffee is shade grown. And beyond the impact of cultivating coffee, Good Earth acknowledges that Americans use an average of four paper cups per week, or 200 cups per year, and that is a lot of waste. In fact, 100 million pounds of paper in landfills every year just from coffee cups, a lot. With that in mind, the brew at home pledge will donate $1 for each online pledge, up to $20,000, to the Trust for Public Land, whose "Parks for People" campaign just created seven new parks and playgrounds in Newark, NJ servicing over 31,000 residents. 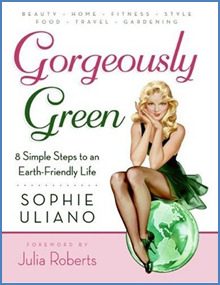 The other highlight of the morning was meeting Sophie Uliano, author of Gorgeously Green, who in fact is Gorgeous and has a gorgeous neshamah (hebrew for soul) to match. I have been reading these posts from this company, Good Earth, and please confirm with me that they are not part of the Tata Company. If they have any connection with this group (http://singur-singur.blogspot.com/2008/09/ugly-face-of-tata.html) then whatever they are doing to "help the evironment" is being destroyed by their parent company. Does anybody care except me that these huge conglomerates sell me these products that are supposed to do good but their parent company is doing the opposite. People want honesty and not this "marketing" hype. Tata - "GOOD EARTH COFFEE" is a horrible company. Look at this article to find out all the terrible things they are doing. For a company that claims to be doing good things for the earth certainly needs to take a look at what their doing! DON'T BUY GOOD EARTH COFFEE!